SSD caching works better than you'd expect. Glad you didn't post this idiotic picture of 1633a having 16TB, like all the other copy-paste macarena-news sites. The interesting question here, is WHEN do they plan to achieve this 16Tb in 2.5" box? Are the Current 850 EVO SSD Based on 1st Generation V-NAND? They are 128Gb V-NAND? If so the 2nd Gen V-NAND are not yet on market SSD yet? If they are 2nd Gen, What happened to 1st Gen -V-NAND? Never went to market? So assuming perfect scaling, I could expect 2TB SSD in the same current ~$350 price range next year? And 3TB for $350 in 2017? We already have that for quite some time. Yeah the gens thing confused me too, I dunno about 2TB for $350 next year tho. I'm gonna guess $500 at best, they *just* debuted the 2TB EVO for $800. Even if you assume street price will soon drop by $100 to better align with it's smaller siblings, a 50% price drop in a year seems unlikely. 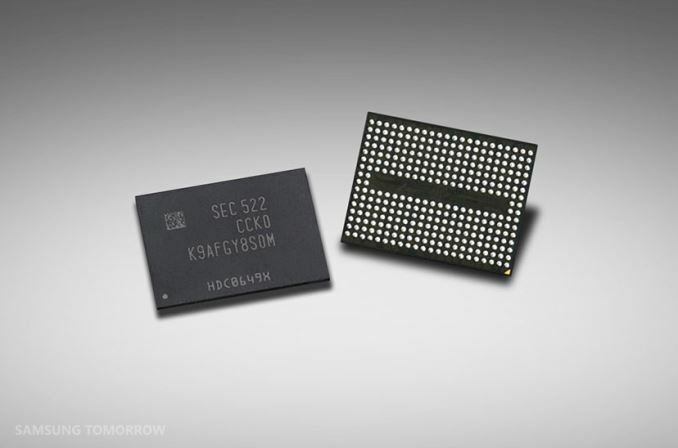 NAND price is one thing, what the market will bear due to demand and competition is another. I paid $380 for a 500GB 840 EVO I gifted in September of 2013 and it wasn't until very recently that the 1TB 850 EVO started going under that. So it took two years to see the kinda price drop you're talking about..
First generation was a "test" generation. Right after the first graph.